Gulliver Cottage’s stunning lakeside setting is the perfect surrounding for a get together of family or friends. With 6 bedrooms, 2 lounges, wood burning stove a conservatory & a wonderfully large dining room / kitchen the interiors are a match for the setting. There is even a private hot tub! Set in 4 acres of grounds shared with the other 3 Trehill cottages & our 3 Long Barn cottages there are 2 fishing ponds, an outdoor pool (summer only) play areas, games room & its own Hot tub, you may not want to get out and about at all. But if you do, you will discover a marvelous corner of SE Cornwall, well worth exploring. Also included in your rental price is membership of the nearby China Fleet health club with its magnificent indoor facilities (see below for more details). There are 3 double bedrooms & 3 twins, a large kitchen , 2 lounges, each with a TV. There is also a good sized conservatory which gives out onto the rear deck where there is an large person Hot Tub (extra charge of £60/wk or £40 per short break). Facing the main lake there is a sunny patio which has glorious views over the main fishing area and grounds. There is a large outdoor dining area and a great BBQ. The outdoor pool (summer) is very sunny with loungers so is great for catching a few rays. We have lots of space to walk or kick a ball around in as well as a games room, trampoline & children's play area. China Fleet Health Club Memberships – just a short drive takes you to this superb facility on the banks of the river Tamar. You receive 4 adult and 4 child memberships to this superb facility. Extra memberships can be purchased at a reasonable price. With a brand new spa facility, huge tropical indoor pool with water slide as well as tennis, squash, creche & kids club, this will be a superb addition to your holiday. Guests at Gulliver receive 4 adult and 4 child complementary memberships. You can also get reduced rates on the superb 18 hole Championship golf course. Or just £40 per week gets you free UNLIMITED golf. Tropical Pool – with water slide, 25m lane swimming, infants area & a variety of water features. Gym – superbly equipped with as many machines as you could possibly want. There are also free exercise classes from spinning to Zumba! “The Aqua Spa has been designed to stimulate all of the human senses. The soft coloured lighting is complimented by a choice of natural tiles, designed to create a warm ambient atmosphere, helping you to relax and achieve the full health and wellbeing benefits from your visit. We only use quality cotton bed & bath linen, there is free wifi and each cottage has a good selection of DVDs. The grounds: Gulliver is the largest of 7 cottages on the Trehill estate. Combining Gulliver with any of the other cottages (ranging from 1 – 4 bedrooms enables larger parties to get together. Trehill cottages - the 4 4 sunny acres are set on a plateau overlooking the Lynher valley in SE Cornwall. From some of the cottages you can see right across to the remains of the iron age fort at Cadsonbury. The grounds themselves are a delight. With so much space, you never feel that Trehill is 'over run'! are a hit with adults & children alike. The games room has air hockey, table tennis and table football. The heated outdoor pool is open from Whitsun week, though to the end of the August bank holiday. It gets the sun all day long, so just relax & soak up the rays. There are 2 recently renovated shower rooms in the east wing. The west wing has a bath with additional shower (with shower screen). There is also a large shower room downstairs. Also free use of the stunning new Aqua spa at the nearby China Fleet club. 4 adult & 4 child memberships included. Other guests just pay a guest fee. Out door pool in summer. Free use of superb indoor pool at nearby China Fleet health club. 4 adult & 4 child memberships included. Other guests just pay a guest fee. Private out door hot tub (extra charge of £60 per week or £40 per short break). Also free use of the stunning new Aqua spa at the nearby China Fleet club. 4 adult & 4 child memberships included. On site there is a games room with table tennis air hockey etc. Fishing , outdoor pool, donkeys, play areas. Gulliver has its own private hot tub on the rear deck which is accessed via the conservatory (extra usage charge of £60 per week applies) Please note that the additional indoor facilities are part of your memberships (included in the price) for the nearby China Fleet club. This superb facility located about 8 miles away has a huge indoor pool complex, gym golf and much much more. Gulliver receives 4 adult & 4 child memberships to the China Fleet health club Please note that this property does not accept under 21 groups at all. Hen & Stag parties are only acceptable with prior agreement. We used to live in Callington so stay in the area regularly and know it well. Chose Gulliver because it was the only place in the area big enough to accommodate us all. So glad we did. We stayed in the Gullivers cottage, with some of our family for my 60th birthday. Others stayed in one of the other cottages (see my trehill cottages review for more about the facillities etc). Gulliver was perfect. Spacious,comfortable. We could all sit down for an evening meal & the hot tub was a major hit with all three generations. Highly recommended. a very enjoyable place for a family get together. views are outstanding, the fishing was really good. It is not commercial type, but it is nice and peaceful as only guests can use the ponds. The cottage itself is very nice and has a farmhouse feel. China fleet was beyond expectations - it just had everything. We also enjoyed the private hot tub. Excellent property and amendities. Full of character. Booked this property for mid-October to have a family reunion for 10 of us. We had an excellent long weekend! The property is well maintained and full of character. There are sufficient number of rooms so you do not have to be on top of each other all the time. The kitchen was well-stocked with equipment and we easily catered at meal times. There is plenty to do with a number of TV's, DVD's, books and board games all available at the property, but in truth we rarely left the large table in the kitchen which was a great place to congregate, eat, drink and talk. Outside the hot tub was good fun and worked effectively. The fishing lake kept some of our party entertained at times with the added bonus of catching some decent fish! The owners were nice people who kept a respectful distance but on hand if help was needed. All in all a lovely property which we would happily rent again or recommend to others. The accommodation was superb! It had everything you could possibly need for 12 people! The hot tub was the perfect temperature upon arrival. Callington was literally a 2 minute drive away so the location was great. Dartmoor national park is 30 minute drive away and definitely worth a visit. There are some great pubs nearby with amazing food. The free gym and spa passes were such a bonus! The gym is amazing and the spa was just what we all needed! The owner Neville made us feel very welcome upon arrival. One of the best weekends away we've experienced. Thank you to the owners! We'd definitely come back! had a great time this summer for mums 80th. 4 generations in total & everyonr had a great time (a miracle?). We especially enjoyed the lovely grounds & hot tub. Sam & snowy the donkeys were great company & although we only went once, the included China Fleet memberships were very handy. This area of SE Cornwall is the perfect spot for a relaxing brake. Peaceful, with beautiful surroundings and views, it is still very easy to get around. With good A roads close by, you can get to the beach in 20 minutes, pubs in 5 and the top sites such as Heligan, Eden project and even Lands End are all within reach. 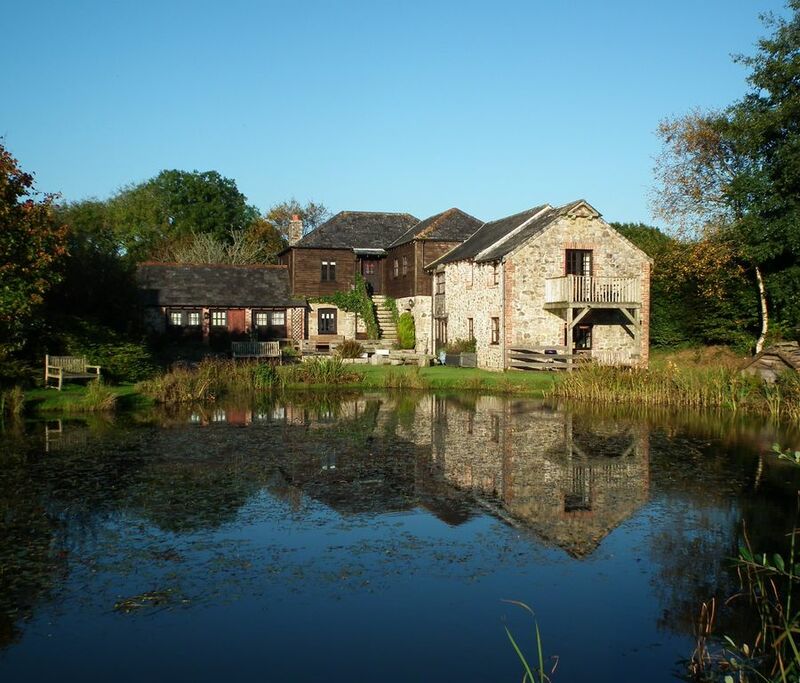 Locally there is a good fun farm for children, the Donkey Sanctuary in Gunnislake, Cotehele House and the delights of the River Tamar, where you can go for canoe trips or just hire a boat for the afternoon. Plymouth with its cinemas, wonderful aquarium and shops is also less then 30 minutes away. The addition of China Fleet club memberships (pools, gym, squash, tennis, exercise classes & golf - extra charge for golf) gives further wet weather options. Golf: For just £40 per person, guests at Trehill cottages can enjoy free golf at the beautiful championship course at the China Fleet club, just a short drive away. The lovely 18 hole, par 72 golf course offers breathtaking views over the River Tamar and great practice facilities which include a 22 bay floodlit driving range, 3 holes practice facility and a putting green you will be spoilt for choice. Trehill cottages is also just 2 miles from the renowned Nicklaus & Kernow courses at St Mellion. The Jack Nicklaus Signature Course at St Mellion - Designed by the man himself. Brought back to all its former glory in 2007/08 with an extensive refurbishment programme, the Nicklaus course is now firmly in any one's list of top UK courses. The Nicklaus Course provides has 7000 yards of outstanding golf. The Kernow Course at St Mellion - Formerly known as the Old Course, it was completely redeveloped in 2008. 9 of the old holes were extended and improved with 9 brand new holes also being added. The Kernow was always the most popular with members because and with the new holes and lay outs is going to provide the sort of course that anyone would be happy to play again and again. We do not accept parties of school leavers under any circumstances. Please note that all guests must be over the age of 21 unless accompanied by a parent or legal guardian. No refunds will be given if this policy is not adhered to.